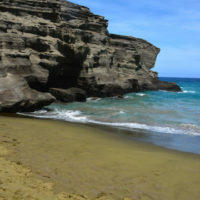 Sandrine is sharing her travel itinerary to amazing Hawaii! 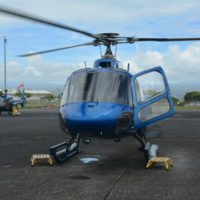 Island life: diving, sea world & volcanoes. Sandrine and Stéphane, with their twins Lise & Guillaume, are avid travelers. The family enjoys white sandy beaches, good food, and the warmth of the locals. The family lives in NY, but they are originally from Belgium. 14 hours flight from JFK or Newark with one stop in Honolulu. Diversity of nature, landscapes and marina wildlife. Easy access to marina wildlife. Good food, lovely people and far from the big touristy resorts! We stayed in a very peaceful former coffee farm B&B style, The Rainbow Plantation. It’s quiet, you just hear the sound of birds and it is nestled in a garden with a large variety of tropical plants, flowers and fruit trees. Perfect location to travel around the island from east to west. 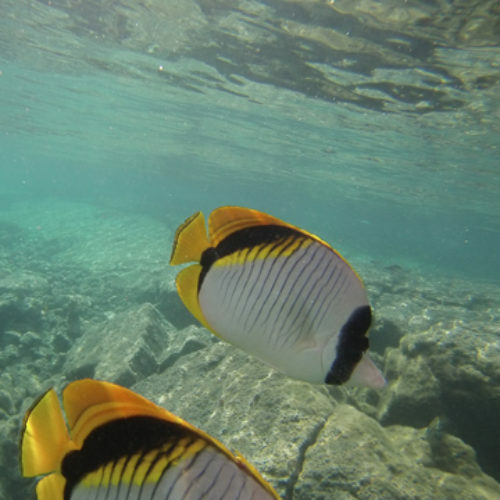 We went on a snorkeling tour off the beaten path with an amazing organisation, Wild Hawaii Ocean adventures. As soon as you get into the water, the scenery is just unbelievable. 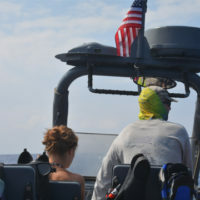 Whale watching, swimming with dolphins and manta rays with Coral Reef Adventures. We stayed at Holmes’ Sweet Home B&B. This Bed and Breakfast doesn’t exist anymore.Check the 10 best B&B in Hilo on Trip Advisor. We did an amazing helicopter tour, with an impressive view of the most geologically active environment on earth which has been continuously erupting…We booked through Blue Hawaiian. 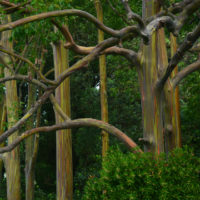 We stayed at the Kilauea lodge, a volcano hotel, Bed and Breakfast style. 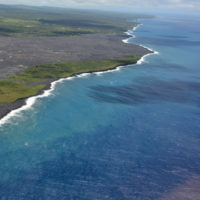 Ideally located just 1 mile from Hawai’i volcanoes national park. Different walks are provided around the volcanoes. We walked on the hot lava with with Ahiu Hawaii ! 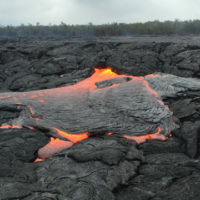 This is an amazing experience but hard to do as it needs about 2 hours walk (both ways) in the rain and mud to reach the lava. It’s really worth the effort. We had rented a vacation home from Maui Condo. We stayed in Maui Kamaole. 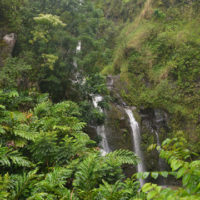 The road to Hana: an amazing scenic highway along the coastline: waterfalls, bamboo forests, beaches, and historical & cultural spots. – We recommend to book the boats early in the morning as they fill up quickly during the summer months. You will then catch an early boat, that is far less crowded than the one’s leaving later in the morning. Enjoy for the same price a tour with fewer people…perfect for early birds! 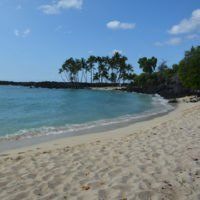 – When heading to the green beach on Big Island, don’t try to drive the last four kilometers but hire a local (they are waiting for you) to bring you over there . You can also walk if you have sufficient time and water. 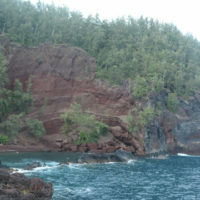 – When heading to the red beach on Maui, yes you need to pass by a school at the end of a dead end street and don’t stop at the first little red beach you see there is a much bigger one a few hundred meters further! – Please note that no tourist companies will bring you to those beaches, so rent your car and go for it. It is really worth it. 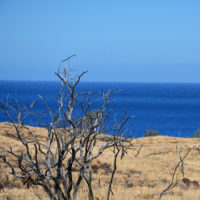 – Big island is big…therefore foresee several stops in your trip itinerary on that island to get the most out of your visit. We made 3 stops on that island. Don’t forget to post your last trip on triptam.com. Give the opportunity to your friend and our travel community to enjoy your last itinerary.